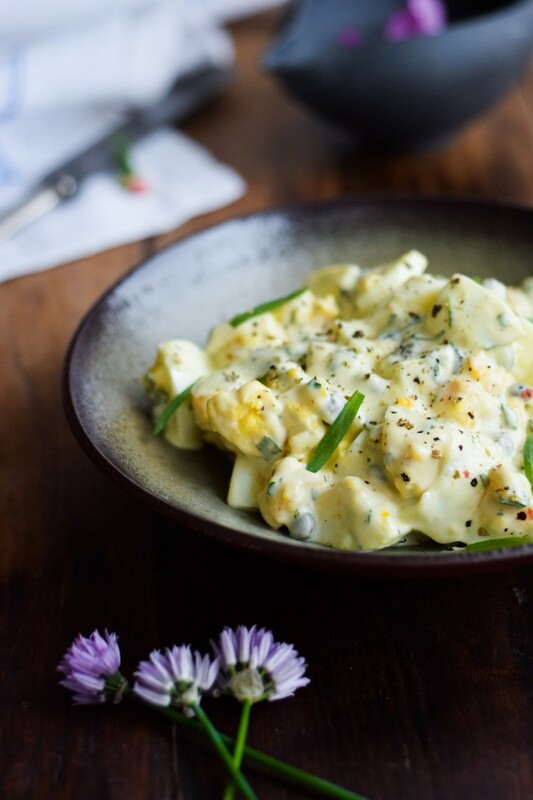 Egg salad with tarragon – sounds nice doesn’t it? It sure tastes good. 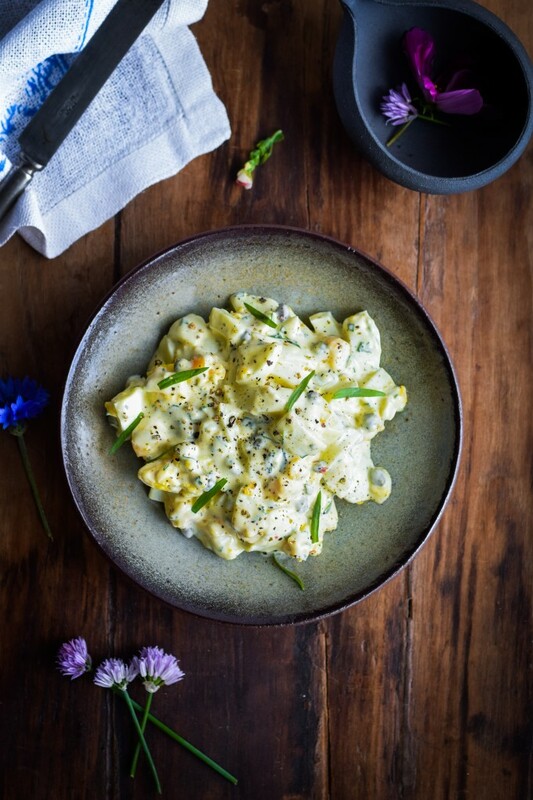 Imagine a nice and creamy egg salad that meets a classic bernaise and hooks up! Taste a bit like that. And that’s not bad right?!! 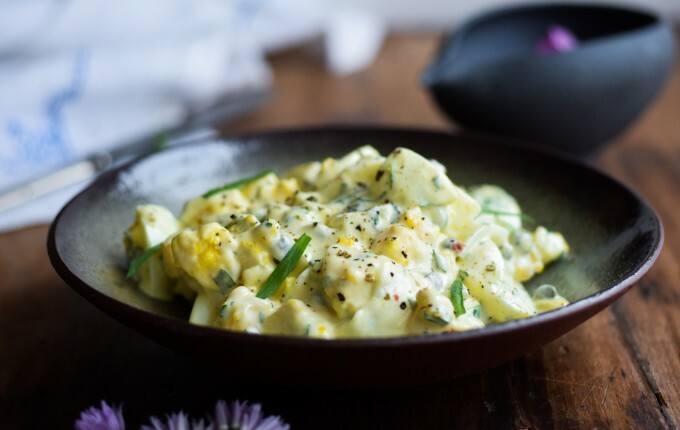 This egg salad with tarragon is definitely one of my favorite go-to recipes, when I need to make something extra yummy for the lunch table. Because it’s always popular and one of those dishes where the bowl is empty in no time. Well, egg salad in general is a classic Danish dish that for example goes on top of our ‘smørrebrød‘ (an open faced sandwich with dark rye bread) with marinated heering. It’s mostly made with curry, but in my recipe I’ve updated the classic recipe a bit and added fresh tarragon instead of curry. Just to give it that extra twist that surprises the guests a little bit. However, if you’re more interested in the old school classic version, I have one recipe on the blog already. It’s my egg salad with mustard sprouts. This recipe super, super easy with ingredients most people have in their kitchen. Oh well, maybe tarragon isn’t a thing you ALWAYS have around. But I can highly recommend that you start to use it more in your everyday cooking, cause it has that distinct wonderful taste that makes so many dishes so much better! Easy egg salad with tarragon and capers. Perfect on an open faced sandwich! Boil the eggs for 10 minutes until they are hard boiled. Rinse them under cold water and peel. 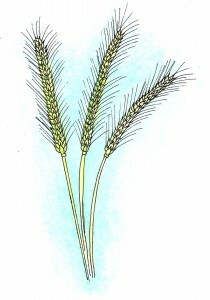 Let them cool and cut them into small pieces. Stir mayonnaise, yoghurt, freshly chopped tarragon, capers, mustard and salt and pepper together. Gently add the eggs, taste and serve. Add some extra tarragon for garnish and freshly ground pepper.